The repealed Urban Land Ceiling (ULC) Act has held up more than 100 projects across Maharashtra. The Maharashtra government came up with the ULC Act in 1976 to impose a ceiling limit on vacant land in urban areas. The Act was repealed in November 2007. However, the Bombay High Court is still hearing cases related to this repealed Act—on a daily basis. You can’t but wonder about the sheer irony of the situation, when a law does not exist any more, but hearings on cases under a repealed Act are being conducted everyday. According to industry sources, such cases against various developers are being struck down by the Bombay High Court, because the Maharashtra government had placed the names of the properties of various developers in its revenue record, so that it can show that it has a claim on these properties. This move by the government, say sources, was carried out after the repeal of the ULC Act. Various developers claim that the government had simply acquired their properties by placing them under the revenue record. This was done without giving due notice to various developers. In a few cases, claim developers, the properties were not even physically acquired by the government, but they were simply placed under the revenue record. Neptune Group has recently won four cases which were stuck under the repealed ULC Act. “We are happy that we have won the case filed under the ULC Act related to our Swarajya Ambivali project. We knew that we would win it, as the government had wrongfully placed these properties under their revenue record,” said Sachin Deshmukh, director, Neptune Group. “It takes a minimum of four years to physically transfer a property between two parties. But the government finished the procedure of acquisition in two months after the law was repealed. Everyday, developers are winning cases (against the government). This is because the government either did not follow the full procedure of physical acquisition, nor did the developer receive a notice from the government,” said Rajesh Shukla, legal adviser, Neptune Group. “Our projects were put under the ULC Act in February 2008 after the law was repealed in November 2007. In a number of such cases, the High Court has passed judgement in favour of the developer,” added Mr Shukla. Godrej Properties Ltd and K Raheja Universal are also fighting similar cases in the Bombay High Court. Whenever these cases come up in the Bombay High Court for hearing, the court refers to the Voltas Switchgear Ltd case. The company had about 27,000 sq metres of land in Thane which was stuck up under the ULC Act for almost two years. The company filed a case way back in 2006 against the acquisition of its land, and it subsequently won the case on 25 July 2008, as the court decreed that the land was not physically acquired by the government. “We also have a few cases in the Bombay High Court, but we know we will win it as the government has not physically acquired our land. We are also thinking of developing a township on these lands,” said Mofatraj P Munot, chairman & founder-promoter, Kalpataru Group. “In Thane, five to six projects on Ghodbunder Road are stuck up under this (repealed) law. The developers whose lands are stuck up in such cases, and who have (ownership of) 100 acres, are converting their land into townships. The UCL Act does not apply to townships anyway,” said Pankaj Kapoor, founder, Liases Foras. Ergo, developers in possession of land above 100 acres are converting them into townships to stay on the right side of the law. In Pune, four such townships have come up. Hiranandani Constructions is coming up with a similar township in Panvel. “If you have more than 100 acres of land, the ULC Act does not apply. But if you had been served a notice by the government for acquisition of your land (below 100 acres) before the ULC Act was repealed, you will have to go through the complete legal procedure to free your land from the government’s clutch,” said Omar Vanjara, associate partner, Solomon & Co, advocates and solicitors. If the law is not existing why cases are going on & it is totally waste of time and money as well .in mumbai if you wonts to devlope a city its the one thing which is coming in between as lots of projects has stuck up.The goverment has to take dicision very fast. In India, the spiritual route has always been an easy way to make money. Now, the Times Group wants to cash in on this trend by launching a weekly newspaper based on ‘The Speaking Tree’, a spiritual column that is published in the inside pages of the Times of India (TOI). According to sources, Narayani Ganesh, a senior editor at TOI, will be editing the newspaper. 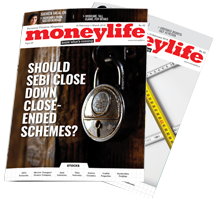 Moneylife contacted the management of Bennett, Coleman & Co Ltd, the publishers of TOI, but they were not willing to comment on this development. Spirituality is a booming business in India. The Times Group won’t be starved for content as there are enough spiritual and religious entities spread across the country which lean on the media for publicity. “The Speaking Tree is for a niche market and is written by variety of writers. Since it is written by different writers, some writings are interesting and some are boring. It (the quality) totally depends on who writes it. By and large, people tend to skip the column because it is not very well written. They (TOI) need to work on the writing style to reach the masses,” said Prahlad Kakkar, a renowned advertising guru. Sources say that the TOI Crest edition, which was recently launched by the company, has not taken off. However, supplements which are clubbed along with TOI like Bombay Times or motoring magazine Zigwheels are doing good business, as they are propped up by expensive advertorials. “Crest is now given away free at most Crossword outlets. This means that they (the Times Group) will eventually give it away free of cost as a weekend supplement (to TOI),” said PK Ravindranath, a senior journalist. “I read three issues of Crest very carefully and found that it is as good or as bad as TOI itself. It has shallow content and mostly paid advertorials,” he added. If they combine Speaking Tree with ' Cosmic Uplink' of the Eco Times it will make great business sense. Indians excepting those BPLs at the bottom of the pyramid are highly stressed/depressed etc to lap up anything from the venerable Ramdev's massive ayurvedic concoctions to any tablet for tranquility against the irritable bowel syndrome. Only thing missing from the market is a spiritual mag to read in the car while travelling or to take mind off at home or hotel. 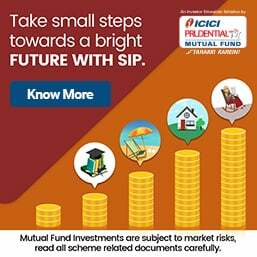 ICICI Venture Fund Management Co Ltd (IVFMC), the investment unit of ICICI Bank Ltd, is planning to invest $250 million-$300 million over the next three years in realty, especially in the residential segment in India. At present, the company does not plan to invest in the commercial segment. “We will be investing about $250-$300 million over the next three years, mainly in residential properties. I expect, by that time, the general market will also show signs of recovery. We will be soon raising fresh capital,” said Sanjeev Dasgupta, president for real estate, IVFMC. The fall in home loan rates is also a factor which is attracting investors. The venture fund is evaluating the market; it is not in a hurry to invest. “Investors are doing greater degree of diligence because a lot of things have gone wrong. They took a view on investment which involved a lot of risk and they thought they would manage it but they could not,” said Mr Dasgupta. The company feels that the residential segment will see another round of small correction over the next six months as developers have increased prices at a rapid rate. “After the increase in prices, volume sales have dropped by 15%. Sales being currently witnessed are being driven by end-users and not speculative investors, contrary to what was witnessed during the boom,” said Mr Dasgupta. “Till the first half of 2010, we are going to see few volume deals happening. We will see some degree of improvement from Q3 FY10 which again depends on many factors. As we are hearing some positive news on the economic front, we will see good growth in the real-estate segment,” he added. The company is not thinking of investing in the commercial segment as most of the investors find that exiting from the asset is complicated and driven by many factors beyond their control. However, the residential segment has self-liquidating assets, so it is easier to exit and also get good returns.